The 11-country free trade agreement formerly known as the Trans-Pacific Partnership may take effect by the end of this year, the minister in charge of negotiations, Toshimitsu Motegi, revealed Friday. 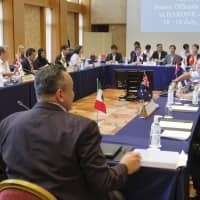 At a press conference, Motegi said Canada and Australia are expected to complete procedures to ratify the trade pact in the near future, bringing the number of countries that will have done so to six. The $10 trillion trans-Pacific free trade agreement, renamed the Comprehensive and Progressive Agreement for Trans-Pacific Partnership, will enter into force 60 days after any six signatory countries have ratified the agreement. 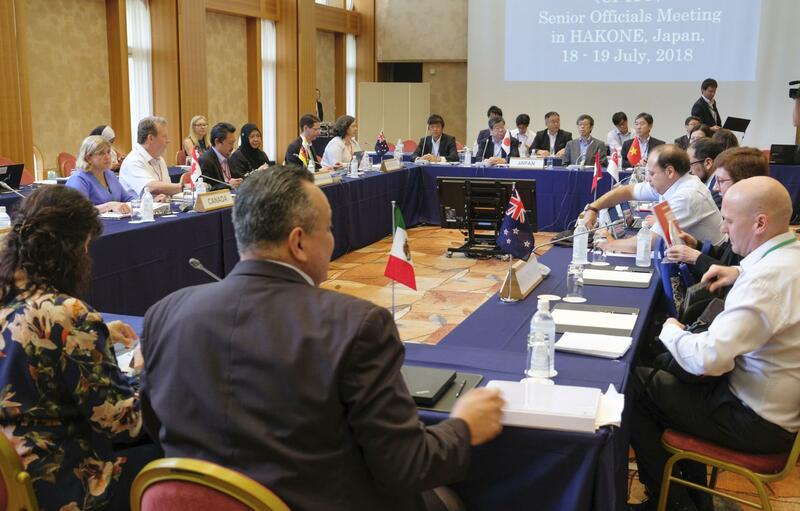 Japan, Mexico, Singapore and New Zealand ratified the pact, also known as TPP-11, earlier this year. Some CPTPP members had hoped the first six nations would meet a Nov. 1 target deadline, which would allow the deal to enter into force by Dec. 31. That’s important because subsequent annual tariff cuts for 10 of the 11 nations can only occur every Jan. 1. Japan’s reductions come on April 1 of each year. If the deal kicks in on Dec. 31, the second round of tariff reductions for most countries can come the next day. Otherwise, they will have to wait a year. The Canadian Senate passed the law enacting the CPTPP on Thursday. Canada has some procedural steps left but expects to ratify Monday, a Canadian government official said, speaking on condition of anonymity. It would be the fifth country. Australia, meanwhile, is “going through the final i-dotting, t-crossing stages, which we hope will be completed within the next few days,” the country’s trade minister Simon Birmingham said Thursday. Among other member countries of the TPP-11, Vietnam is expected to ratify it by the middle of November. The other member countries are Brunei, Chile, Malaysia and Peru. The 11 countries will aim to expand the pact’s member base once it takes effect. Thailand, Britain, Indonesia, Colombia, South Korea and Taiwan are among the countries that have shown interest in the Asia-Pacific trade deal. The TPP-11 deal was signed in March after the United States withdrew from the original agreement early last year.